Joe Joe, one of the 2018 CMN Hospitals National Champions, is a master bucket seller. Every year he visits his local Ace Hardware to help sell buckets during Miracle Bucket Days. 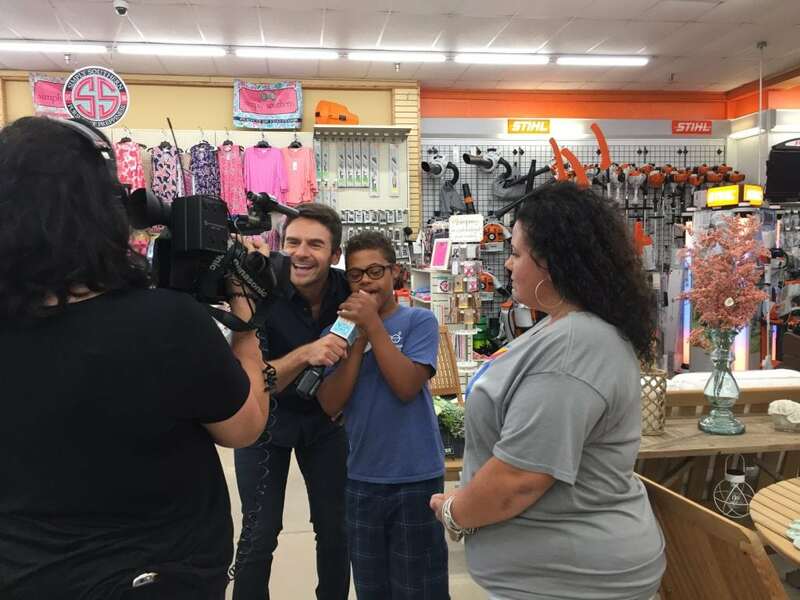 This year he was joined by River City Live of WJXT in Jacksonville, FL. As you can see from the clip below, Joe Joe was not afraid of the camera or the microphone! Make sure you stop by your participating Ace Hardware between Aug. 3-5 to get your Miracle Bucket and 20% discount on almost anything you can fit in it when you donate $5 or more to your local Children’s Miracle Network Hospital. And if you’re in the Jacksonville area, stop the Turner Ace Hardware to see Joe Joe in action on Aug. 3.